According to the statistics of the National Tourism Administration, the number of outbound tourists in China in the first half of 2017 reached 62.03 million, an increase of 5.1% over the same period of the previous year. Hong Kong has become the country and region with the largest number of overseas payments during this holiday. In addition, Thailand, South Korea, Japan, and Australia have also entered the top 10 foreign consumer cities, becoming the most popular overseas consumption area for domestic users. Compared with last year's National Day holiday, the number of payments in Canada, Singapore, New Zealand and other regions has also increased significantly. It can be seen from the data that the demand for Chinese tourists to travel abroad and the demand for purchasing overseas products continue to rise, and foreign business merchants are pondering how to enter the Chinese market. Why do foreign merchants rush to open WeChat public accounts? 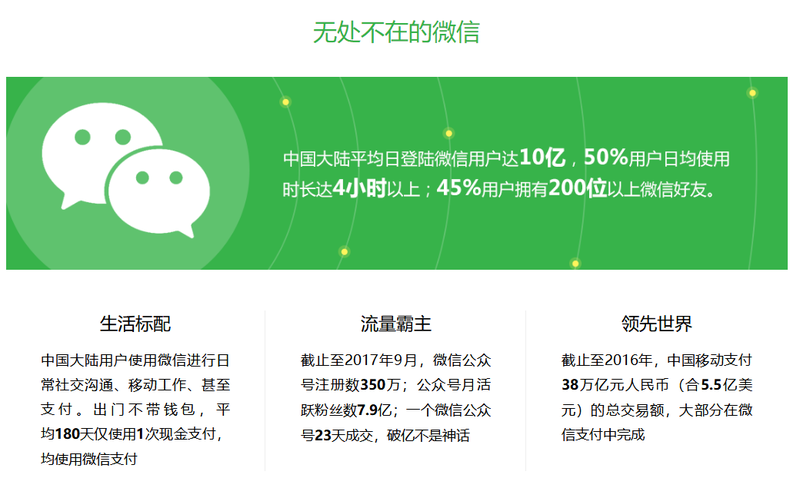 According to the latest earnings report of Tencent, the monthly active account of WeChat and WeChat has reached 1.04 billion, a year-on-year increase of 10.9%. The traffic of Chinese acquaintances is basically in Tencent. 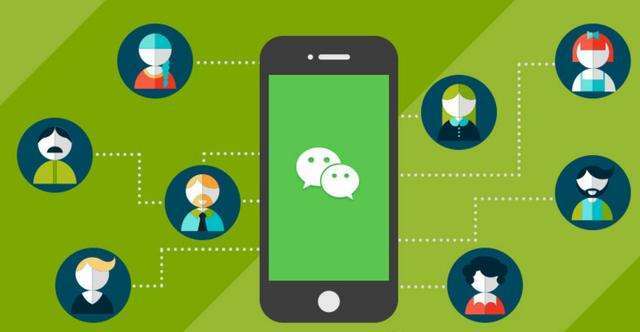 Through the WeChat public account, merchants can realize all-round communication and interaction with texts, pictures, voices and videos of specific groups on the WeChat platform. Formed a mainstream online and offline WeChat interactive marketing approach. There are already too many companies and individuals to realize the WeChat public account and sell goods as the king. The number of active users of WeChat and the public number is so huge. Global merchants undoubtedly want to use WeChat public to enter the Chinese market. Why can't foreign merchants apply for opening autonomously? It is applied by overseas users. And only overseas WeChat users can pay attention. It is applied for and certified by overseas main users. Users in mainland China can also pay attention. Is applied for and certified by overseas main users. In the vernacular, it is that the WeChat overseas public number registered by overseas companies is not available to users in mainland China, and there is no way to view them. If you want overseas users and users in mainland China to pay attention and view, you need to register WeChat overseas single subject. No public. However, the self-registration channel for the WeChat overseas single-subject public number has not been opened. Therefore, the WeChat overseas public number application has become one of the most anticipated and most anticipated things for many overseas businesses. More and more foreign companies are wondering how to register and open the WeChat public account. How to register WeChat single subject public account for global merchants? From now on, global merchants can easily register WeChat overseas public account through Weshare Interactive! In other words, global merchants can use the WeChat service provider like Weshare Interactive to complete the registration and certification of WeChat overseas single-subject public number. Weshare Interactive has reached an important cooperation with WeChat, and has completed the application and certification of WeChat overseas public number for many enterprises and merchants in Hong Kong. And for some merchants to provide WeChat public number operation and promotion services. 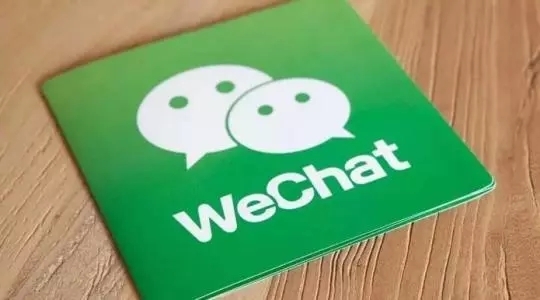 At present, Weshare Interactive has completed the application and certification of WeChat overseas single-subject public number for more than ten enterprises and merchants such as Shu Uemura Hong Kong and Hong Kong Chen Liji. More than 10 companies and merchants such as Shu Uemura Hong Kong and Hong Kong Chen Liji have applied for and certified WeChat overseas single-subject public number through Weishang Interactive. It also opened a micro-shop, personal center, membership system development, etc., enabling any user in the world to view and make online purchases. 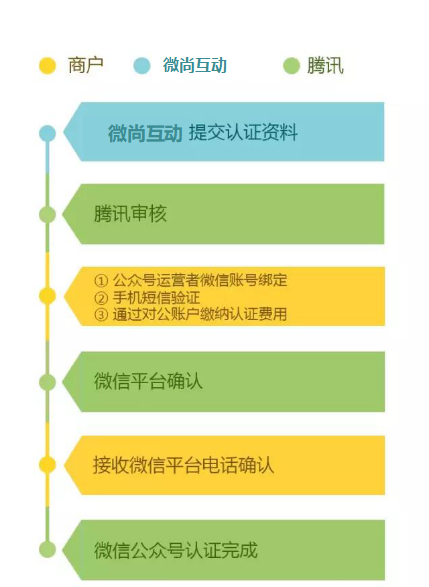 Designed and implemented by Weishang Interactive, its WeChat public channel channel marketing plan, combined with Weishang interactive mobile phone cross-border payment and other solutions, tens of thousands of people in a short period of time (local and Chinese live fans), Received high praise from the brand side. Merchants can regularly send selected products and offers to Chinese fans through WeChat public account. At the same time, mainland Chinese fans can also understand and purchase branded store products through the public number, effectively turning fans and traffic into huge profits. Weshare Interactive will work with global merchants to help global merchants easily register WeChat overseas single-body WeChat public account to create considerable profits; help Chinese users to easily purchase global overseas products through WeChat public account. We can provide you with Wechat public account, operation, promotion, technology development and other related services. If you want to know more about opening the WeChat single subject public number, you can click the link below to leave your contact information and needs/questions, so that we can get in touch with you; or pay attention to WeChat public number "Wei Shang Interactive" to leave us a message. The vision determines everything. 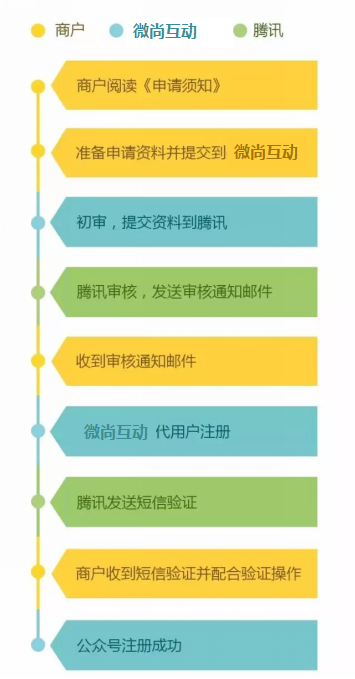 If you are also optimistic about the WeChat public account, optimistic about the Chinese market, want to enter the market as soon as possible, seize the opportunity, and immediately contact Weishang Interactive to build, operate and promote your business. Previous: What is China WeChat Mini Program Mall? What is the use? How much does it cost to develop?